Randy Tjon-A-Fon, also known as Rancido, is one of the hottest afro, soulful and deep house artists, in the dutch house scene. With his very own 'deep journey' and 'traveling soul' sound he takes your mind, body and soul on a musical trip. Born in the Netherlands in 1983, Rancido was always a creative boy doing Break-dance and Graffiti. Back then normal 12-year-old kids played with their Nintendo, but he played with his first pc, creating music. His friends were delivering the newspaper for some extra money, but he was creating and selling beats for dance battles. The first time Rancido got in touch with house music was through his mother. She was already listening to house artists like Masters at Work, Snap, The Nightcrawlers and The Bucketheads (Kenny Dope) to name a few. After going back and forth for years, Rancido decided to release his first record in 2007. 'Salsa Sundae" as the track was called, didn't do much in the charts, but got support from national dj's like Rob Boskamp and Gregor Salto. This would also be the start of Rancido's remix career. In the follow up year Rancido was asked to do his first remix for Gregor Salto's G-Rex Music. The remix for the track 'Mexer" got support from Roger Sanchez and was played on his world famous radio show 'Release Yourself'. In 2009 Rancido became famous through his successful Residence at the house-event called SOULHEAVEN, which was held in Amsterdam's own Paradiso. On this special event, he was giving the pleasure to play alongside dj's like The Martinez Brothers, Kerri Chandler, DJ Spen and Mr V Dennis Ferrer. Throughout his career Rancido also played with dj's like Black Coffee, Culoe De Song, Atjazz, Zepherin Saint, Boddhi Satva, Phil Asher, and Ezel. 2009 was also a good year for Rancido as a producer. His remix of Mzee's 'Ancestral Calling" was released on Nulu Music and his remix of Qness's 'Uzongilinda" was released on SoWHAT Recordings. Rancido's remix of Mzee's 'Ancestral Calling" was also included on Little Louie Vega's monthly mix of December 2009 and January 2010, and to put the icing on the cake, it was selected for Little Louie Vega's compilation for Ministry of Sound called: Ten Years of Soul Heaven. 2010 was the year that the remixes really went rolling. Rancido got the privilege to put his Deep Journey touch on music for labels like Defected, Vega Records, Nulu Music, Offering Recordings, Seasons Limited and Afrazoo to name a few. Rancido's second Release 'Future Reference" was released on Nulu Music, and was selected for Hex Hector's Compilation CD for Nervous Records. The Deep Journey continued in 2011. Starting with Priss's 'On My Way" for Offering Recordings, followed by his very own 'Fly Away" featuring I/Fan for Spinnin Records. In April of 2012, Rancido released 'Brighter Days" featuring Lex Empress on Offering Recordings. But the streak wasn't over yet. That year Rancido Joined forces with Antonello Coghe from Nulu Music. Toghether they we're responsible for remixes for artists like Anané Vega and Mangala Camara, which were released on Vega Records and Nervous Records. In 2012 Rancido decided to start his own label 'Deep Journey Recordings'. Deep Journey Recordings is a label just for afro, deep and soulful house music. It's an output for artists who want to spread there afro, deep and soulful sound. Deep Journey is a part of the Dadadam family of Gregor Salto. Dadadam is an independent music production company who also represents the labels G-Rex Music, Samsobeats, Moganga, Afrazoo, Downpitch, Fjordin, Majestic Beats, Rimbu, Greasy Music, Rizardo Records, Tantzi, Masal. In February of 2013 Rancido was asked to do a remix for Black Coffee. The remix for the song 'Rock my world' was released on the label Foliage Records. 2013 was a very good year for the remixes. Rancido made also remixes for Renato Xtrova, Peng Africa, Bucie, Zakes Bantwini and many more. 2013 was also the start of Rancido his own events 'Soul Gathering', Voyage and the official Deep Journey event. Rancido is known for his afro, deep and soulful sounds and has played at all the hot spots in The Netherlands like: Vip Room Rotterdam, Maassilo Rotterdam, Club Vie Rotterdam, Melkweg Amsterdam, Jimmy Woo Amsterdam, Paradiso Amsterdam, Latin Village Festival Haarlem, Bloomingdale Bloemendaal and many more. 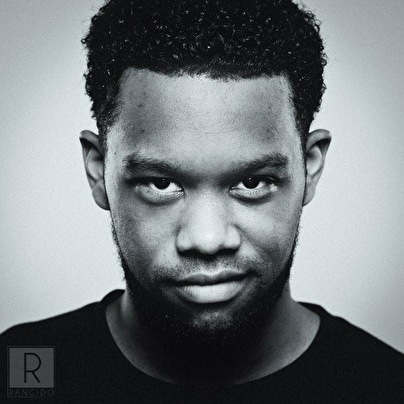 Besides The Netherlands, Rancido is also well known in several other countries and has played at places like: Kasta Lounge Angola, Club Cool Portugal, Plan B London and the soulfulclub of Paris 'Djoon experience' to name a few. Rancido gets musical support from various artists like Black Coffee, Little Louie Vega, Renato Xtrova, Anané Vega, Boddhi Satva, Osunlade, Djeff Afrozilla, DJ Gregory, Abicah Soul, Zepherin Saint, N'DingaGaba, Gregor Salto, Antonello Coghe and even Mark Knight to name a few. Rancido is dedicated to quality music and will deliver uplifting sounds through each track. Rancido describes his music like a journey of what's on his mind and what he's expressing in afro, soulful and deep house music. Heerlijke sound!! Love this one! !